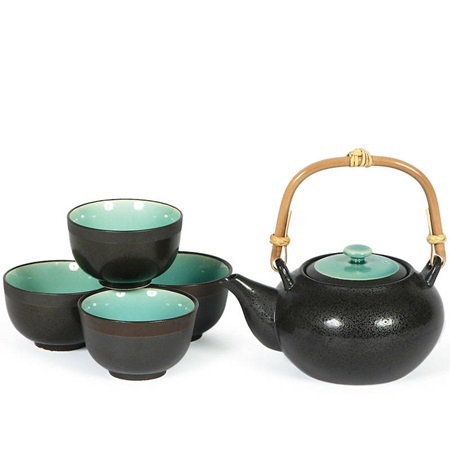 The aptly named Ocean Blue color of this tea set will help take you away to a more tranquil place. Wonderful engagement, wedding, housewarming gift! One teapot with strainer and four teacups. Pot handle must be assembled. Teapot: 6.5 x 5" x 3.5"h; 16 oz. capacity. Tea cup: 3.5" diameter. x 2.25"h; 4 oz. capacity.